Dave Herber holds an MBA in Marketing from the University of Baltimore and a BS in Sociology from James Madison University. While these indicate he’d be one hell of a social economist, he opted for an alternative career in health and fitness! Dave has been a certified personal trainer through the American Council on Exercise (ACE) since 1996, and the National Strength And Conditioning Association (NSCA) since 2006. 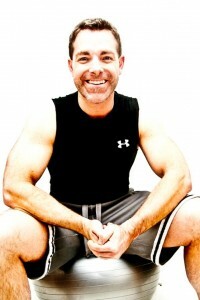 He has held a full-time corporate fitness manager position with L&T Health and Fitness since 2000. He has been the chairperson of the LANXESS Workplace Wellness committee since 2008. As a personal trainer, Dave has trained clients from all walks of life, fitness levels, and age ranges. He trains clients over the internet, in person at the Anytime Fitness in New Castle, and in the client’s home. Dave also helped many people new to fitness when he was a moderator on the popular bodybuilding website, www.muscleandstrength.com from 2008 to 2011. Connecting with Dave is easy! You can e-mail him,”LIKE” the “Exercise2u” facebook fan page or follow “Exercise2u” on Twitter. And you can also “Link Up” with Dave on LinkedIn,com.